Wiwo/WirtschaftsWoche:Thanks to the "Twilight" movies you're one of the big earners in the movie industry. Pattinson: There you're mistaken. This is greatly exaggerated. But you have sufficient available financial resources to invest. What principles do you follow? I do not have any, because I'm not very good at spending money or investing. I have simply no idea. Okay, I've spent money on a house, but I hardly use it because I travel so much. Real estate is still a reasonable investment. Yes, but I don't think so. The whole financial world makes no sense to me. Only then when everything goes wrong. Because their categories are absolutely absurd, it's based only on illusions. Why should Facebook suddenly be worth over $100 billion? 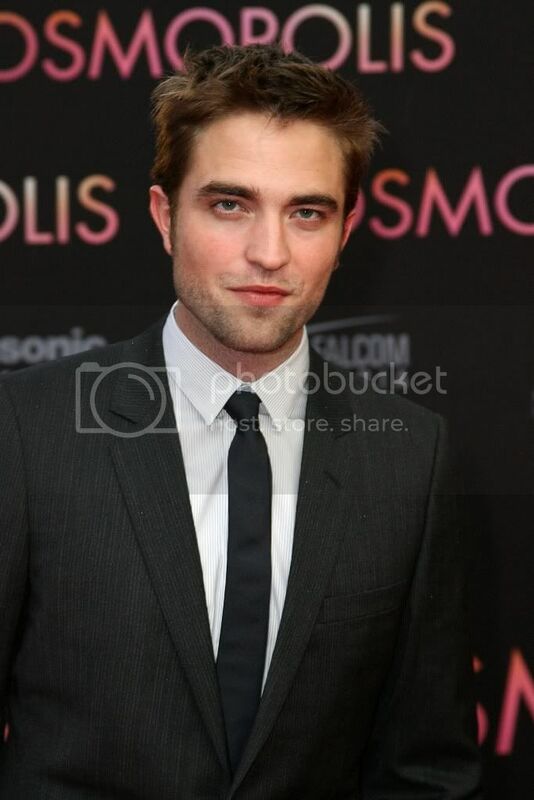 Appropriately,you're now playing an finance genius in your new movie "Cosmopolis" . Were you aware of the relevance of this story? Everyone who sees the film, says that it deals with the fall of capitalism. But when we shot it, nobody thought of that. For us, the movie was about the absurdity of power in general. The protagonist didn't necessarily have to be a financial shark. But appropriately enough the "Occupy Wall Street" movement started just at that time. And the movie scenes that show the insurgents look like a reflection of the events. Would you tried to join the Occupy movement since you already don't have a great opinion of the financial world? Absolutely. However, the people would think me hypocritical if I did that. Although I agree with many of the principles of this movement. Ever since working on this movie, I became even more sensitive to it, more aware. It is so ridiculous that people who want nothing more than lead a normal life, have to work for minimal wage to do so, while a minority has so much money available, that they lost touch with it. For them it has become pure gambling. And the law has no meaning anymore. Then I ask myself: Why do I vote at all anymore? The President has no say. It's just typical that my character in the film has absolutely no idea who the President is. You become so successful that every aspect of life is only an abstraction. Even the success as such means nothing to you anymore. Is this true for you? I am well aware that I had luck with the "Twilight" movies. I've literally fallen into a made nest. They say you have to earn your luck. For me it is the opposite. I will work every single day for the next ten years to justify this. So in the real life, you don't drive in limousins where you don't notice what is going on around you - like your character in "Cosmopolis"? Not really. But even if I did that, then it was necessary, because me and my "Twilight" colleagues were chased by fans. One time the driver accidentally turned into a parking garage - and a whole lot of people came after us. It was like "Jurassic Park". I'm not at all shielded from reality. And the people around me contradict me constantly. So much, that sometimes it really gets on my nerves (Laughs). Kristen Shooting for British Vogue in L.A.
More Videos from the BD2 CC2012 Panel. More VidClips from the BD2 PressCon.